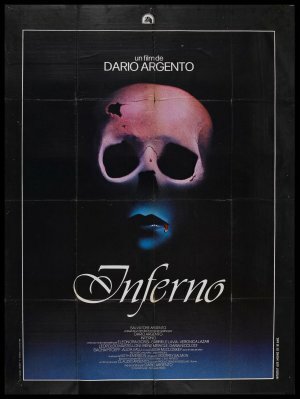 A thematic sequel to the legendary Italian horror Suspiria (1977), Inferno is the second part of Dario Argento’s Three Mothers trilogy. The long-delayed concluding entry, The Mother of Tears, was released in 2007, and one of us caught it at the Toronto International Film Festival. All three films are partially derived from the concept of “Our Ladies of Sorrow” (Mater Lachrymarum, Mater Suspiriorum and Mater Tenebrarum) originally devised by author Thomas de Quincey in his 19th century work, Suspiria de Profundis. Inferno received a very limited theatrical release and was unable to match the box office success of its predecessor. 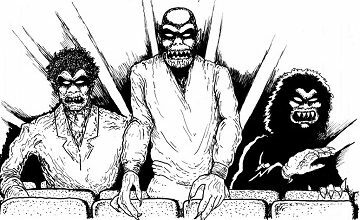 The initial critical response to the film was mostly negative…and it’s gotten some more positive attention more recently (if not from us). The music, for starters, doesn’t match the thunderous beats Goblin graced other Argento films with. Here it’s the cheesy music of one of the dudes from Emerson, Lake and Palmer. The filming of Inferno took place mainly on interior studio sets in Rome, Italy but a short amount of time was also set aside for location shooting in The Big Apple, including Central Park (the setting for one of the film’s few memorable moments).